Five more Tommie greats and a men’s basketball team that won three straight conference titles, joined the St. Thomas University Sports Wall of Fame when they are inducted on June 23, 2012 at the Forest Hill Conference Centre. “Everyone in this room knows that athletics has always been a big part of life at STU,” said Andrea Seymour, Chair of the Board of Governors, to those on hand for the announcement. 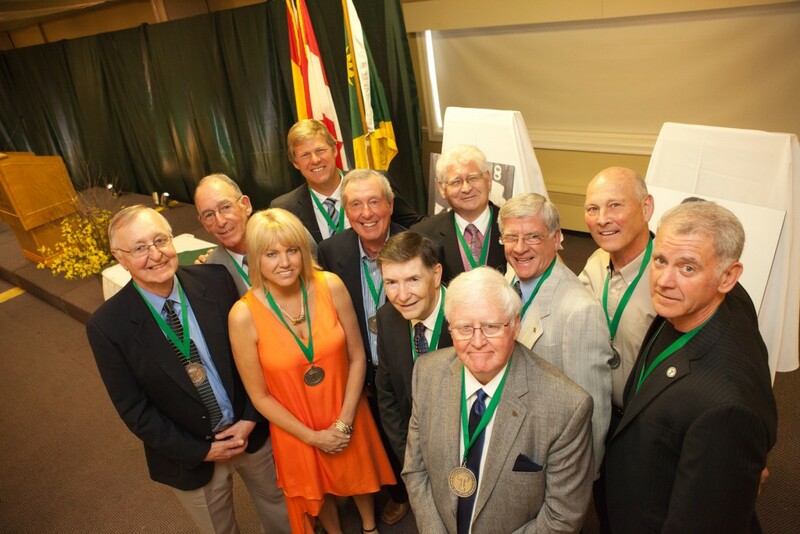 Pauline Bam-Marie (Horsman) Bradley, Don Grant, Stephen Horsman, Edward Hospodar, John Lordon, and the Men’s Basketball Team from 1962-65 make up the class of 2012.